Poetry and spoken word have seen a slow-burn surge in popularity recently. From Ashlee Haze’s emotionally charged voice on the opening track of Blood Orange’s Freetown Sound, to Jesse William’s BET awards acceptance speech (which began as a typical audience address but finished somewhere much closer to a Slam performance) poetry has never seemed so powerful a medium in popular culture. You don’t have to go very deep to feel that this is a divided moment for London, politically, and on the map of the city itself. It’s a list we’re all familiar with: gentrification, social cleansing, and sky-high rents push the city’s disadvantaged groups further into the margins, both in terms of their visibility, and physically further out of the city. As Brexit exposes the racism just under the surface, and the language of threats and exclusion is never far from the mainstream news it is the poets reflecting these fault lines. They are also exploring new and experimental ways to disseminate and spread their work: embracing DIY methods and revitalizing the scene. Here are a handful of the London poets producing diverse ways of interacting with and experiencing poetry, claiming it as an important outlet for youth culture and the various issues connected to the city. 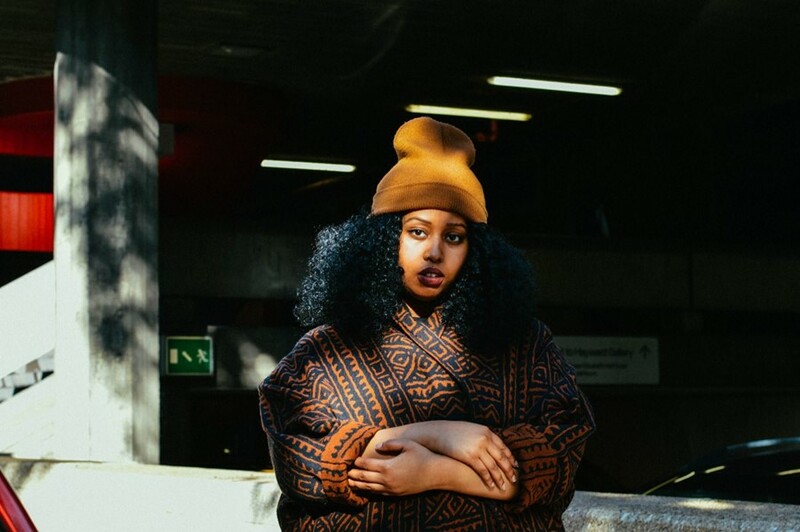 Somali-born poet Warsan Shire penned the emotional and haunting lines you’ve heard on Beyonce’s Lemonade, a piece of work that played with mixing spoken and sung words. Already well-respected on the poetry circuit, the collaboration catapulted her into the pop-cultural limelight, causing her chapbooks Teaching My Mother How To Give Birth (2011) and Her Blue Body (2015) to sell out on Amazon. Much of her work is found and shared on Tumblr, as well as published in streams of Tweets by the author – poetry defined by and emerging from the Internet age, about age-old problems of exclusion and conflict as we know them in 2016. James Massiah looks issues like gentrification and gang culture straight in the face, tracing the changing areas of London and the shifts in atmostphere this causes. With a strong rooting in place, Massiah presents his work spoken over film, documenting the city visually as well as through his memories and words. “The town that you knew is soon to become a thing of the past/ as socio-economic alchemy takes place right before your eyes/ The Rotherhithe, The New Cross, The Old Guard. Gone.” (‘South London, Stone Henge’). Massiah takes on gentrification as an objective onlooker, juxtaposing urban shifts in London with a symbol of the sweep of British history: Stone Henge, itself a mark of societal change and shifting landscape. He tries to take the tides of social change for what they are, and searches for how best to deal with the complex challenges to identity involved in changes to the map. “In a part of town where working class is both a talisman and curse,” sums up the layers of communities all coexisting, yet lacking a shared sense of each other. Massiah has also recently collaborated with street-inspired designer Liam Hodges in a project connecting emerging designers with grime and rap artists, including Novelist and Little Simz. In many ways, his spoken poetry overlaps with underground genres like grime, especially in its connection to place and a sense of belonging to the London streets. Bangura writes in her poem ‘Elephant’, “He said I’m lucky to be pretty for a black girl, and that I speak well enough despite that fact that I speak better than him/ saying ‘we were’ instead of ‘we was’ (…) speaking as if the Queen herself raised me/ but it was a Queen herself that raised me.” She imagines a conversation, echoing her own experience of public racial abuse (Bangura was hit and racially abused whilst on a train to Liverpool last year), addressing and dismantling each ugly stereotype directly. With a very real grassroots tradition behind her, Abondance Matanda’s hand-made books represent the way in which activism and creativity go hand in hand. 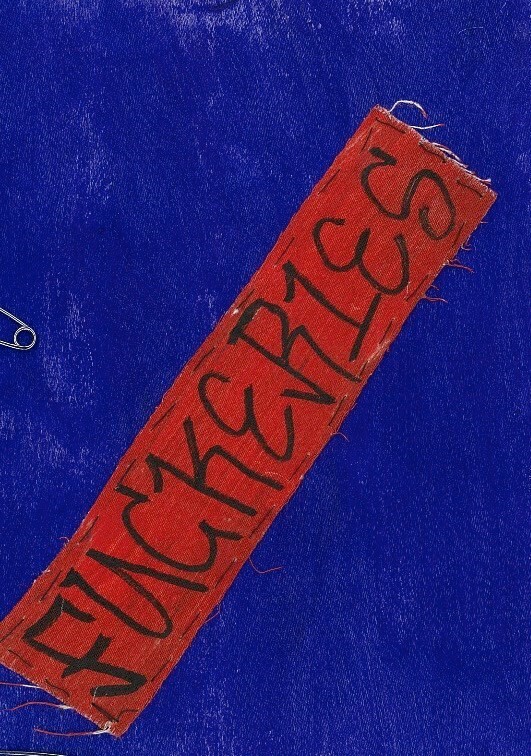 “Doing things DIY is both direct inspiration from punk movements and just having a lack of resources, so a very working class expression,” Matanda said of her third book, Barefucker1es, which launched with an event in Tottenham, held symbolically on the 5th anniversary of Mark Duggan’s shooting earlier this month. Her poems draw on her experience of the city’s discriminations and realities: “You ain’t never knowed/ how your red london buses been a home/ watch the yutedem grow from bluetooth to snapchat/ our downloadable lives now disappear in the twenty four hours it would take for you to get down ere” (‘da other side of ya red ldn bus’). Matanda mixes speech styles, mirroring the crossing of worlds in her poem, and uses London’s icons to highlight the duality and tension between London’s international fame, and its quotidian reality for the city’s youth. Hitting out at institutionalised racism and police brutality, there’s a palpable anger in Matanda’s work – anger that is reflected both in her language and in the immediacy of the handwritten text on the pages of her book. It’s striking to see this new scene reworking an age-old tradition of underground activism and DIY publishing, with poetry at its centre. There’s something arresting about Momtaza Mehri’s multi-lingual verses. Mehri crosses the languages of the digital space over themes as wide as the current migration crisis and African diaspora. She explains her term ‘cyperspacepoetics’ as “the kind of Instagram, Tumblr (or) earlier Livejournal poetry that gets dismissed as chic-lit confessional froth” drawing attention to the power and popularity this ‘marginal’ poetry generates, “I don’t think it’s a coincidence that so much of such poetry is produced and championed online by women of colour... Then comes the shock when these young poets become so celebrated they can't be ignored anymore.” Seeing the digital space as one that holds the potential to be democratic, a level playing field for talent to shine, Mehri is also hyper-aware of the inequalities we operate within – namely language itself. For someone migrating to the UK, learning English is a necessity, but it is also a constant reminder of the languages that are not being spoken, the languages of home. “Trust is a vowel sound away from power./ Trust is willing a boat to shores/ Power is not having to. Even our language mocks us” (‘New World Hymn’). Language is political, rigged with invisible power dynamics and the shadow of colonialism, but because we have to use it to run our lives, this can go undetected and underexamined. Mehri turns to the codes and languages of the digital space, examining the crossover between life lived online and offline. “Your formative URL experiences, meme culture, diasporic chatrooms, racialized or gendered harassment, kink communities... It’s all there waiting to be tapped into.” In her poem ‘<p>Grief in HTML</p>’, she writes, “Five years since, his friend is a life undeleted, peering from under horn-rimmed glasses. Four walls of a coffin or the four walls of a display picture?”), exploring how online experience informs our expression of emotion.